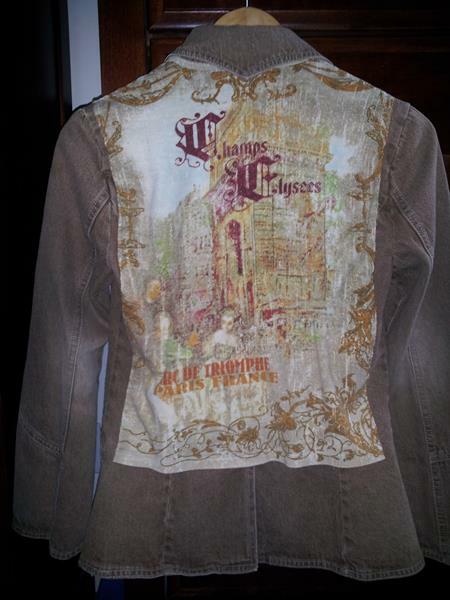 Jaquito: Jaquitos for the Holidays! I'm making a few more jaquitos to sell for the holidays, with a francophone theme. If you see one you like or want, leave me a comment! 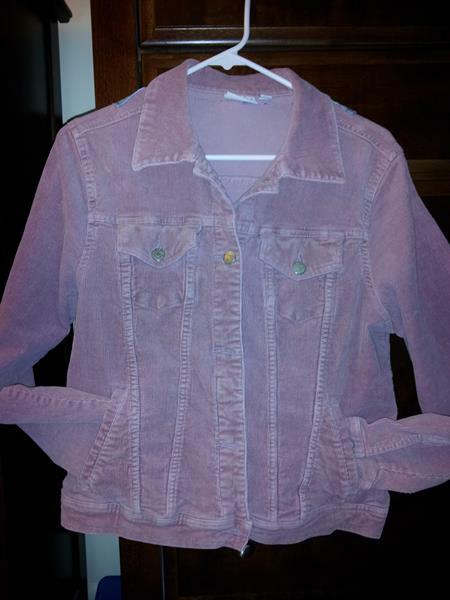 I can also do custom work.Rose corduroy jean-style jacket, medium, with handwarmer pockets outside and handy pockets inside! 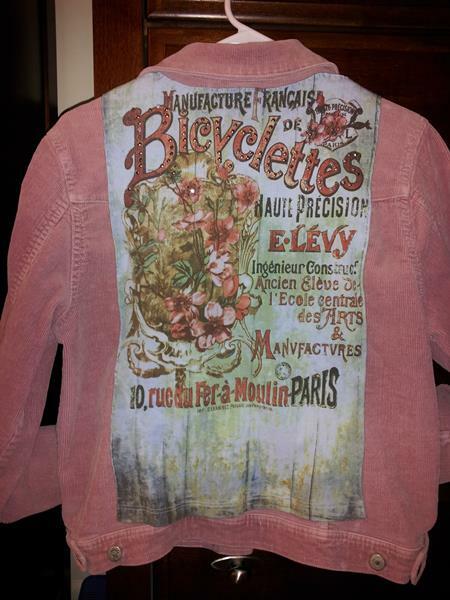 On the back, lovely art deco style advertisement for a Paris bicycle shop, featuring rosy flowers on an aquamarine background. 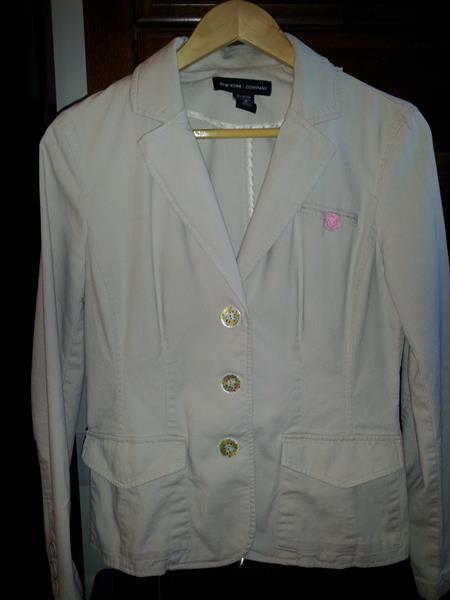 Beige twill blazer, size 6, with a pink flower motif! 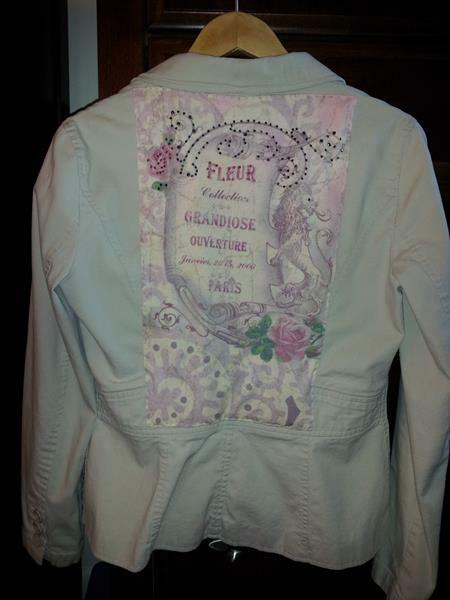 Sparkly pink image on the back, in French. 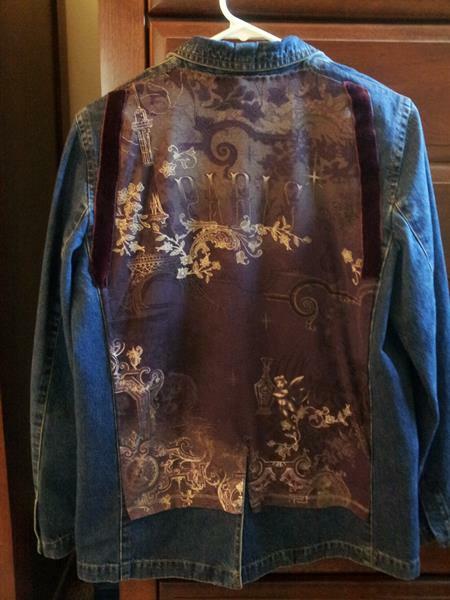 Flowery buttons on the front including a permanent pink boutonniere. 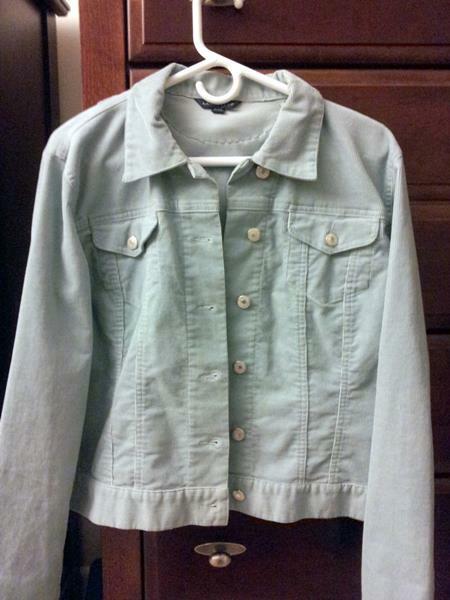 Pale blue corduroy Land's End jacket, size large. 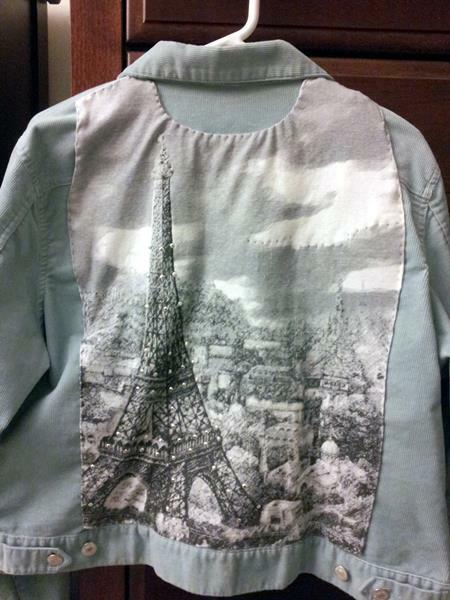 On the back, a HUGE scene of Paris, starring the Eiffel Tower, complete with sparkles! 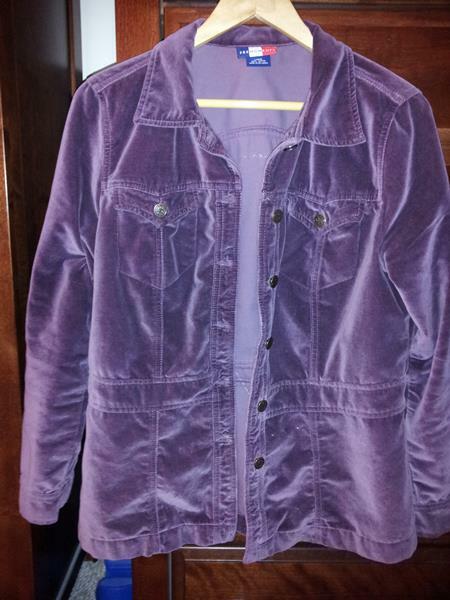 Here's the first one that's ready. 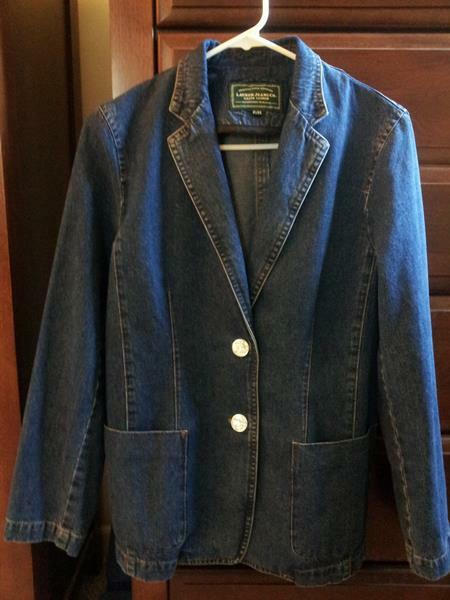 The jacket is a Ralph Lauren denim blazer, size medium. 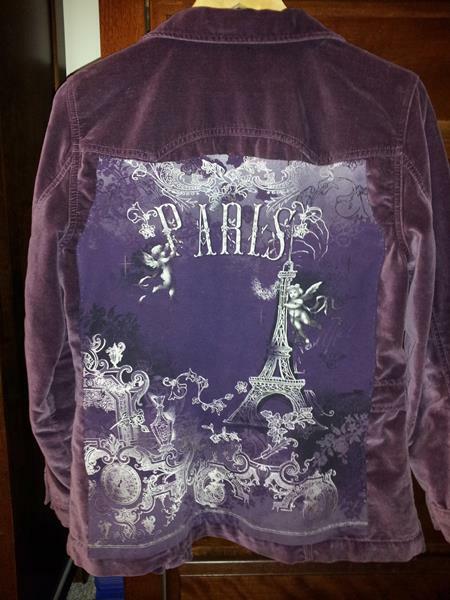 The t-shirt design on the back is a lovely purple with the word Paris and the Eiffel tower. 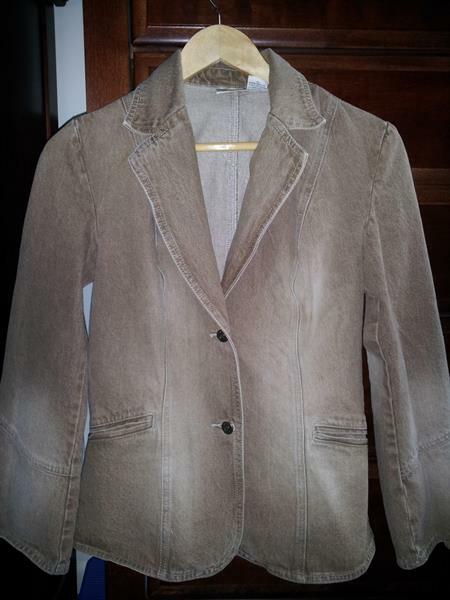 Two silver-toned buttons. Jacquitos son mejores que los tacos.